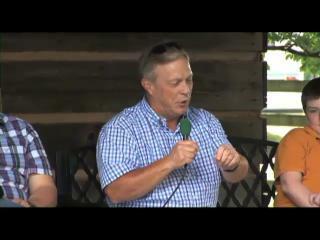 This DVD is a video filmed at our Anniversary Singing with an audience of fans and friends present on the old front porch of Lela Epperson's homeplace. 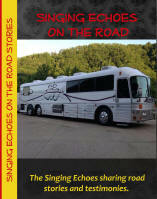 Join the laughter and the tears as group members share one of a kind stories and testimonies of "On The Road" experiences from their travels all accross the country. You'll hear stories like Millenium, Blue Hands, I said I'm Hungry Max, We're Not Wearing That Suit Tomorrow, and more!